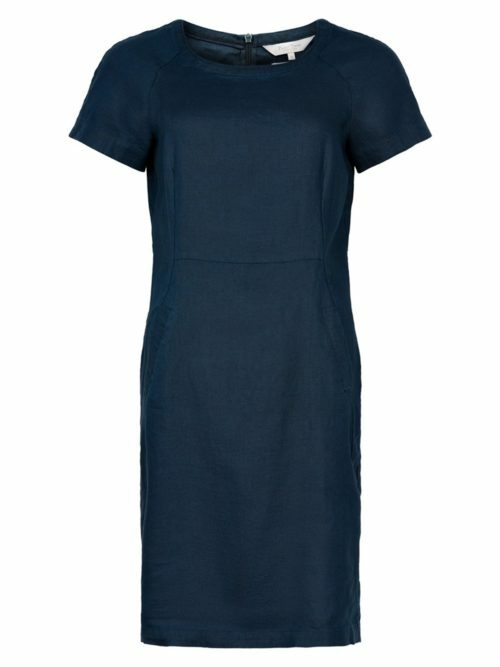 Gorgeous dark blue Fairtone dress. 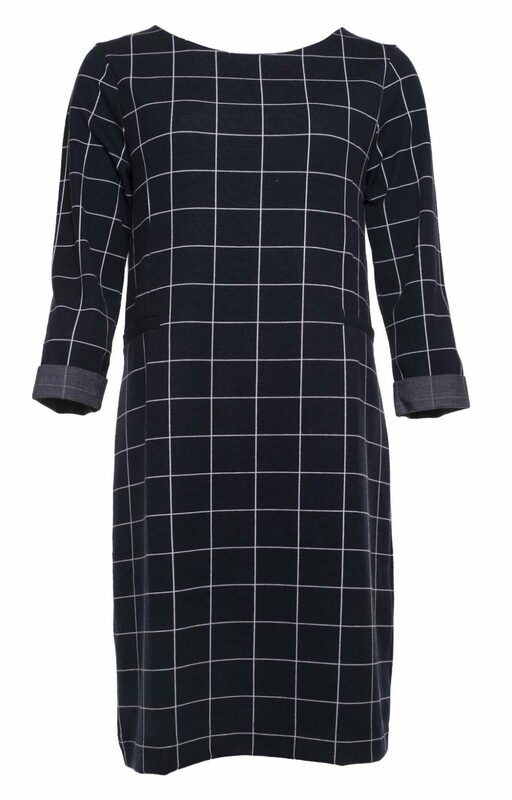 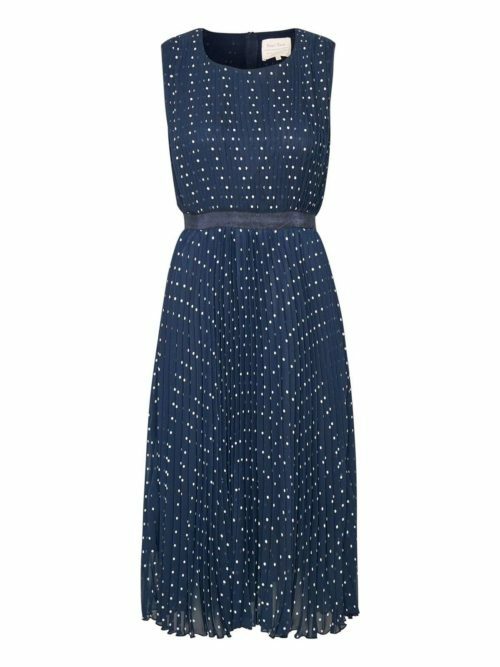 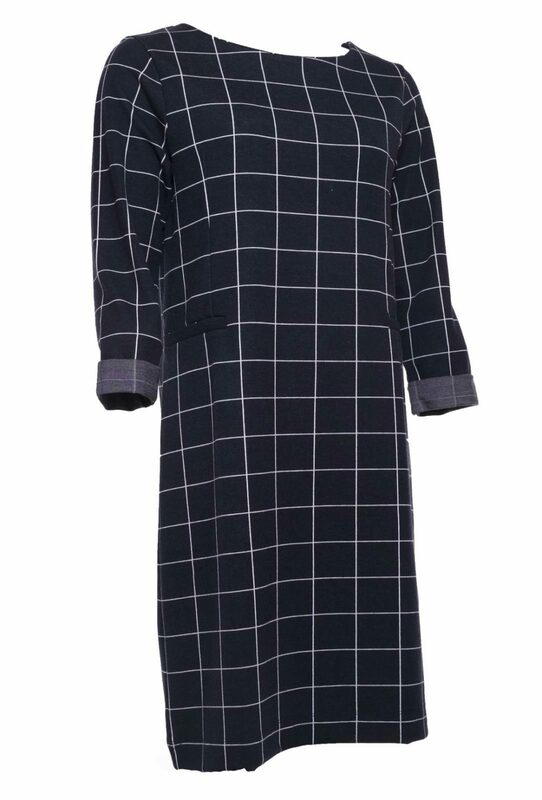 Katie Kerr Fairtone dress in a dark navy blue thick jersey fabric with a white grid and contrast plain fabric on the cuff. 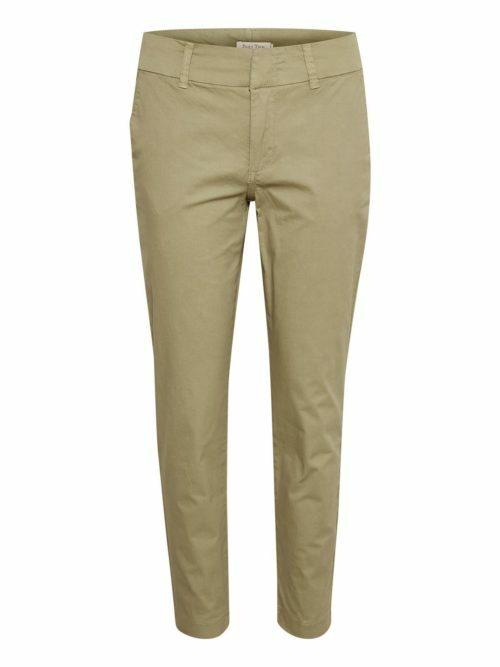 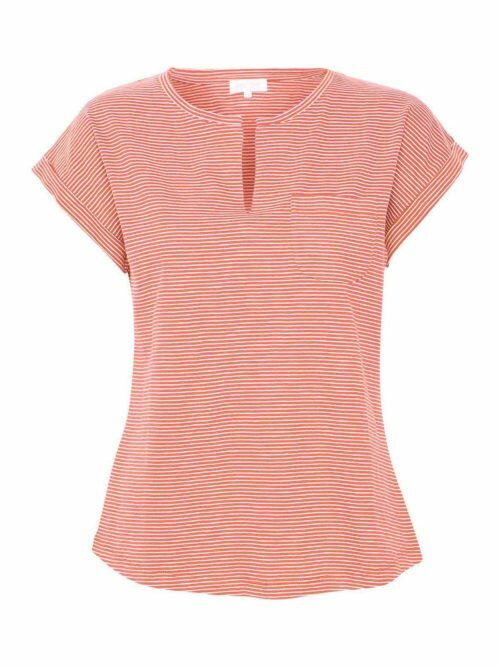 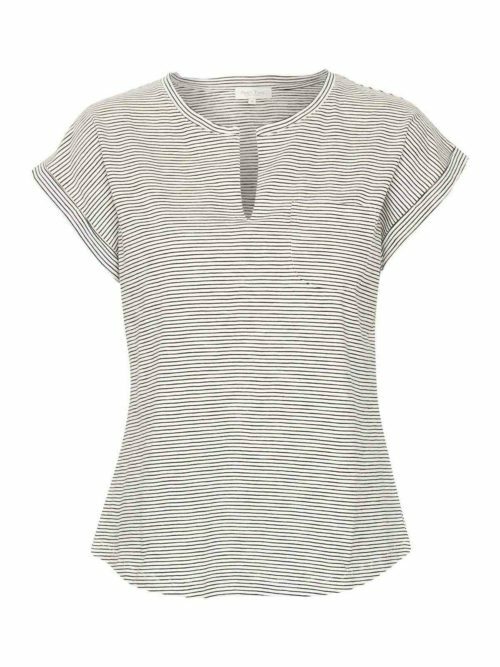 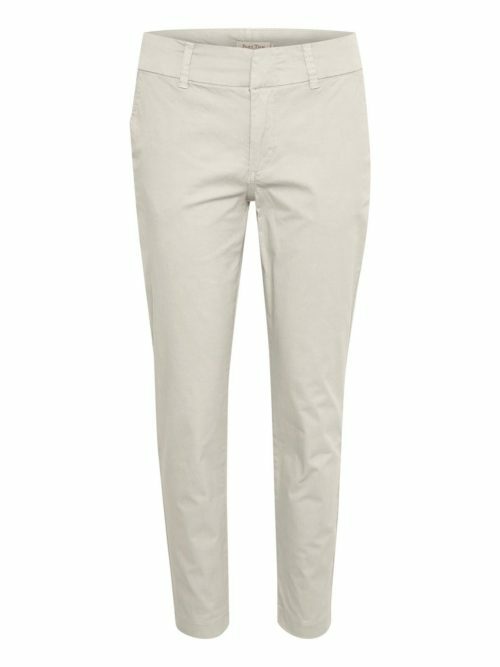 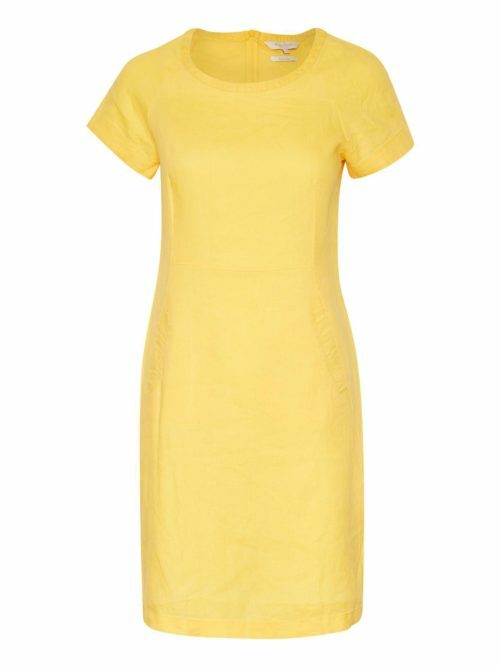 It has a round neckline and two front pockets. 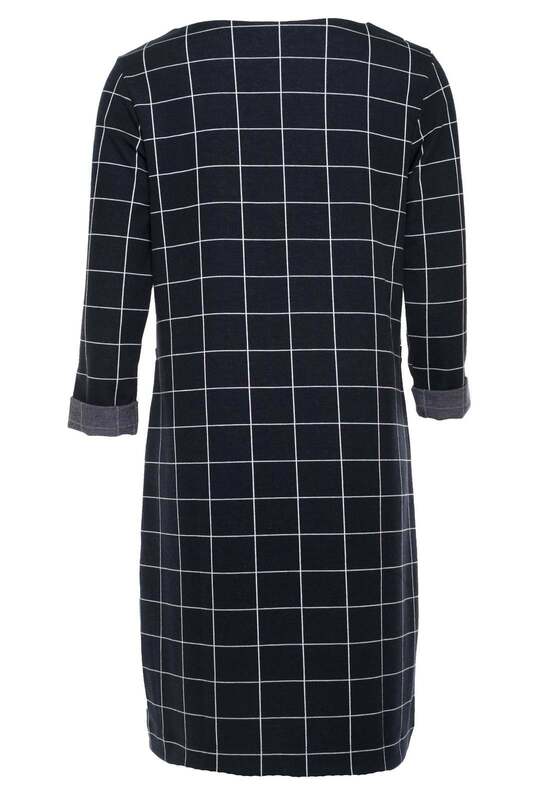 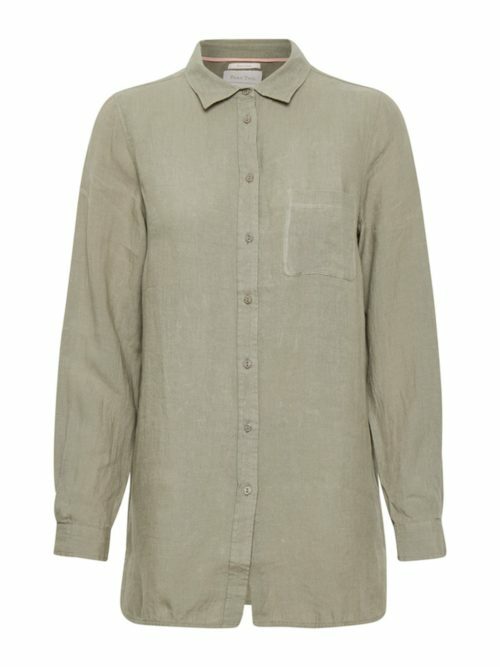 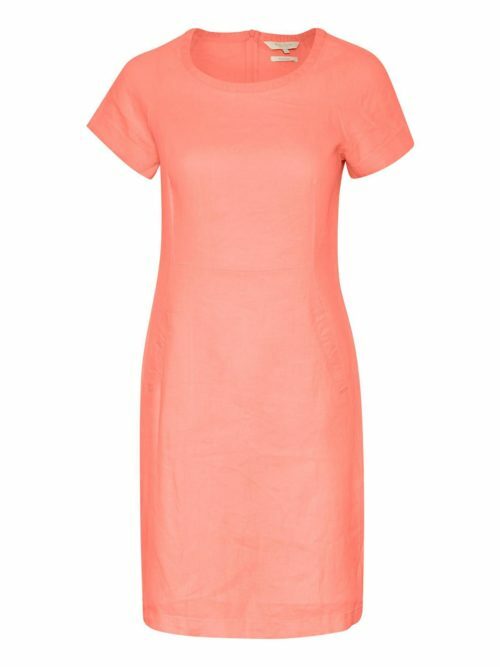 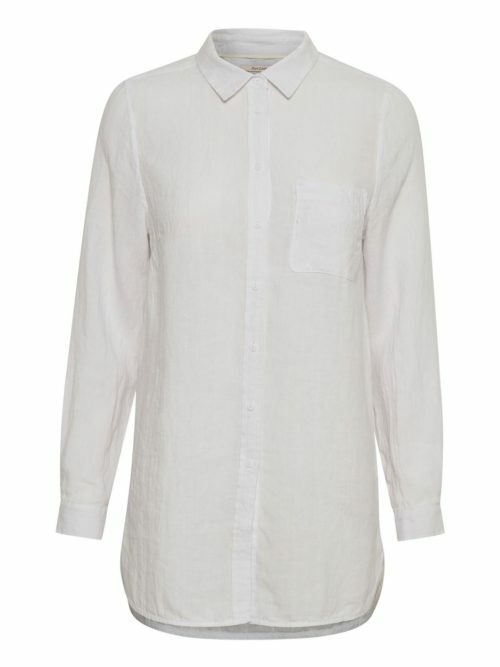 This dress is so cosy worn with tights and brogues for a formal look or with a chunky cardigan for a more casual look.